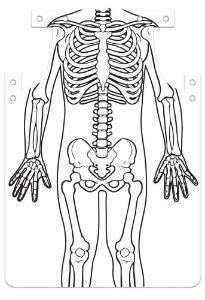 Detailed Skeletal System on Paper Aprons. 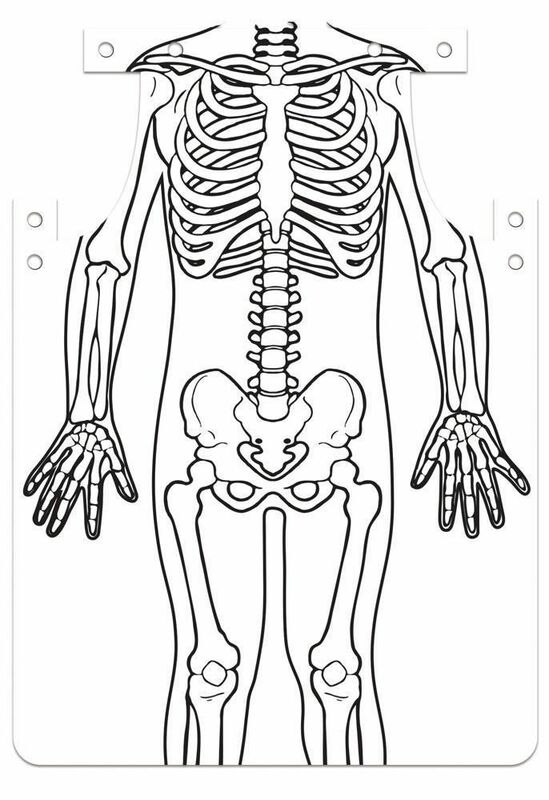 Children will enjoy wearing their bones on the outside with this realistic skeleton design printed on drawing paper! Learn how the body fits together, while being creative. These aprons are just as much fun to decorate as they are to wear. Ordering information: Includes 12 aprons, yarn and guide. Packaging: In heat sealed bag, rolled.